Founded in Houston in 1994, The Rogues deiliver a new genre of Celtic music with pipes and driving percussion.The band has produced it's own theater show called Celtic Crossroads and performed as a guest artist with the Air Force Symphony Orchestra in Washington, DC and had music featured in the 2011 film "Kill the Irishman." The Rogues have performed in Las Vegas, Scotland, Greece, Canada and all over the United States. Their roster includes top notch players from around the country. Members of the band have competed all over North America and Scotland, and won 1st place at the 1998 World Pipe Band Championships in Grade III, performing with the Hamilton Pipe Band out of Houston, TX. The Rogues have produced 10 albums and 2 DVDs to date and are listed in the official Grammy book for several nominations, though falling short of the final 5. In the summer of 2017 they were joined by well known champion piper Sean Patrick Regan. Sean is one of the most well know instructors and champions of piping in the US and brings his wealth of talent their performances. The Rogues have a tradition of supporting charities, sometimes holding their own fundraisers supporting individuals and causes for soldiers. The band even has it's own tartan in the Scottish Register of Tartans. That Tartan is the background for the website! County Mayo is one of the premiere Irish Bands in Northeast Ohio and Northwest Pa. and has been pleasing audiences for over 30 years. Their performances are lively, engaging and feature a high level of audience participation. The band specializes in Irish ballads but their song bag includes plenty of Scottish, Australian, and Canadian songs as well as familiar Irish-American favorites and American folk tunes. The musician include Ted Miller who paints pictures with his voice and brings Irish stories to life. He was born to sing Irish songs and studies Irish history and language in order to better understand each song. Marcy Meiers plays flute, tin whistle, piccolo and bodrhan. and play ballads on the guitar and studied music at Gormanston College in Ireland. Brad Campbell is the band's token Scotsman. Besides playing keyboard, harmonica, percussion he is an exceptional vocalist. Bill Lewis plays guitar, banjo, mandolin, fiddle, concertina and just about any other instrument someone tosses his way. He credits his interest in traditional music to growing up during the folk music revival of the 1960’s. Melinda Crawford, a sanctioned Scottish F.I.R.E. judge and a former U.S. National Scottish Fiddling Champion, performs frequently for Scottish highland games, Celtic festivals, and concerts throughout the United States and abroad (including a recital for the Lord Lyon of Scotland.) A Scottish fiddler since the age of eleven, she has won numerous awards for her solo playing and her original compositions. She also was a finalist for the inaugural Niel Gow International Scottish Fiddle Composition Competition held in Pitlochry, Scotland. A well respected teacher, Melinda is the director of the Strathgheny School of Scottish Fiddling held every year in July at Westminster College in New Wilmington, PA. She conducts workshops on Scottish fiddling all over the US, has been an instructor at the Jink & Diddle School of Scottish Fiddling in North Carolina, and teaches Scottish fiddling privately and internationally to many students over the internet. She frequently judges Scottish F.I.R.E. competitions at highland games and has judged previous F.I.R.E. national championships. Melinda has been repeatedly invited to present educational sessions at national conferences to school string teachers about how to teach traditional Scottish fiddling in the classroom. She is also the national president for the Scottish fiddling association for North America, Scottish F.I.R.E. Melinda is an associate professor of music at Westminster College in New Wilmington, PA, where she directs Ceòl na Teud, Westminster’s Scottish string ensemble. She is also the orchestra director, the string education specialist, and violin and viola (and Scottish fiddling) instructor. Melinda received her doctorate in music education with an emphasis in alternative string pedagogy from The Ohio State University. She is the author of “A Violinist’s Guide to Scottish Fiddling,” published by Mel Bay. For more information about Melinda, the Strathgheny School of Scottish Fiddling, and her CDs, please visit www.melindacrawford.com. STEP IN TIME Celtic Eclectic Two People....A LOT of sound. 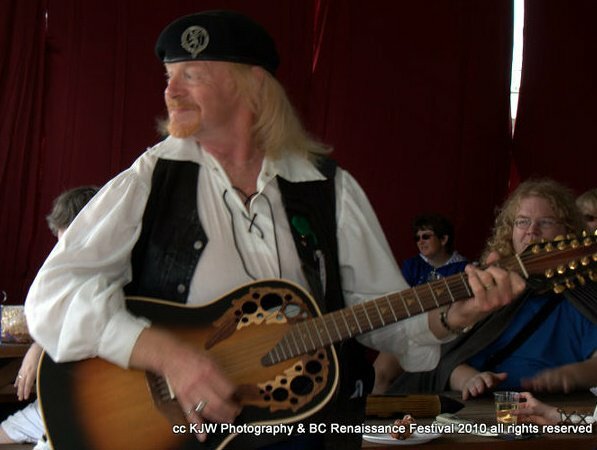 Our "off the grid" repertoire of Celtic, seafaring and music from the 14th century to the present is performed with outstanding vocals and diverse instrumentation including: Guitar, Bagpipes, Whistles, Concertina, Bouzouki, Bodhran, Harmonica, Recorder, Bowed Psaltery. Performances full of energy and humor are hallmarks of Step In Time band. Step In Time got their name from Marcia and Monte’s need to "mix things up", musically speaking. They perform music of all genres, from all ages, while staying true to the spirit and energy of Celtic music. 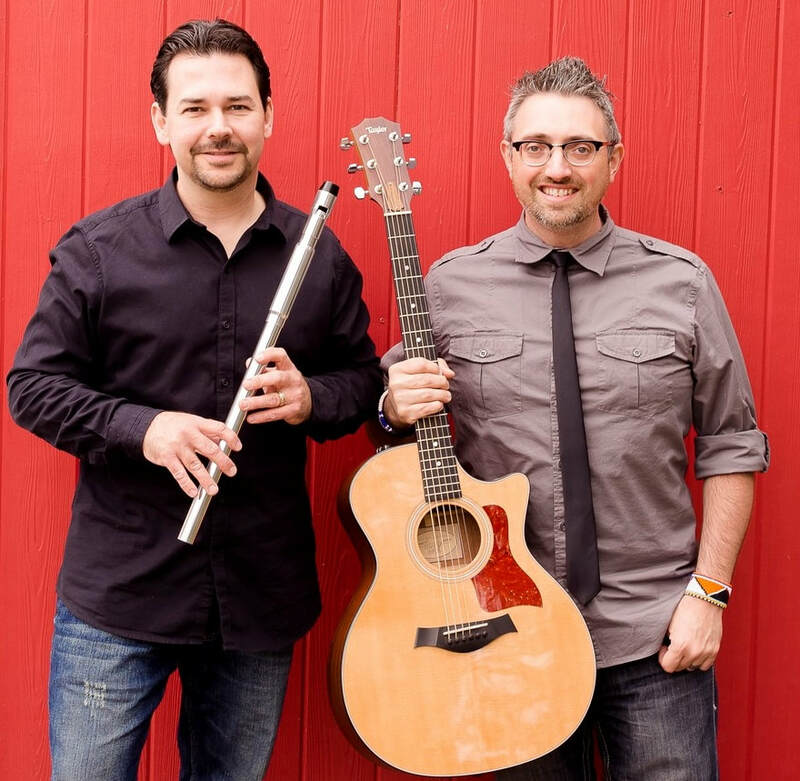 Outstanding vocals, a wide variety of instruments, and a "not your typical" repertoire make this duo's music best described as CelticEclectic. Corned Beef & Curry Band is the premier Pub band from Pittsburgh, PA. 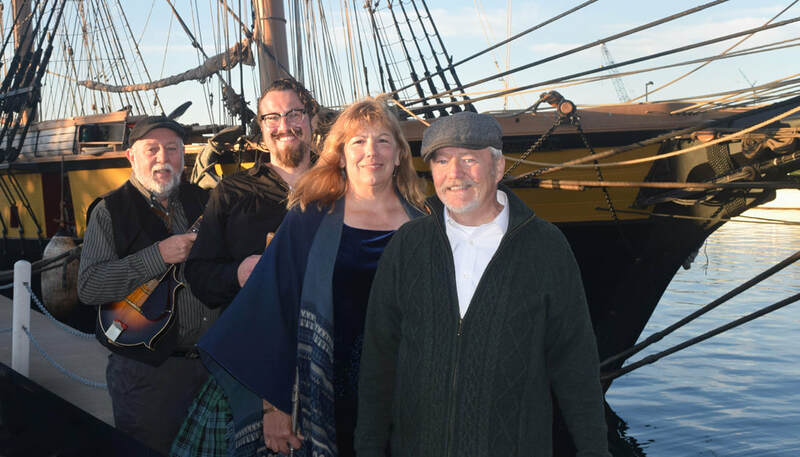 Known for their high energy and interactive stage shows, they play all genres of music and anchor their shows with Celtic/Irish tunes and Classic Rock. John McCann has been an Irish musical force in Pittsburgh for many decades. Originally from Buffalo, NY, John moved to Pittsburgh and soon became a sought after Irish solo musician. His first CD "This Day" brought him together with musical partner Bob Banerjee and they have been playing together for close to 20 years. People love his range of voice where he can channel the Phantom of the Opera to Buffet to Tommy Makem all within the same musical set. Bob Banerjee is a classically trained violinist who relishes his move to the "dark side". He is a multi-instrumentalist who also plays mandolin, guitar and utilizes many modern effects and tools for his distinctive sounds. His passion and energy brought him to tour with Gaelic Storm in 2003-2004 and introduced him to thousands of friends throughout the nation. Bob and John have been harmonizing together since 1998 and share their love of music with all audiences. Bob's last CD, "La la la la Beer Me!" has entertained audiences from New Orleans to Chicago, Cleveland, Dallas, and LA and a favorite of internet radio stations like "Island Time Radio"
"Hamish" Dindak is the energetic percussion foundation of the band. No better background for a band drummer than one who starts as a fan and eventually becomes part of the band! He is putting together a hybrid drum set that merges the sensibility and control of electronic drums with traditional and international sounds. His talents also include the ability to play washboard and the uilleann pipes. His accessibility and humor have made him a huge following among fans who always can be found yelling, "Who the Heck is Hamish?" A long, long time ago...a surviving clan of the ancient Celts spoke of a legend about two followers of King Arthur who vowed to carry his peace into the new world. King Arthur named them CELTIC SHORES. This witty and fun duo was formed in 2010 by native Pittsburgher’s, Matt Hughes and Susan Borowski. Folk tunes from Ireland and Scotland fill the air when these two musicians get together. Tradition can be heard in many of their songs, as well as a creative element in their original songs. Both Sue and Matt are accomplished songwriters and have published CD’s of their own. Their combined effort brings to life some of your favorite jigs and reels. You will also hear popular folk tunes and some of the long-forgotten ballads from Ireland and Scotland’s greatest poets. The whimsical nature of this duo will brighten your day and bring a smile to your face as they perform for you. 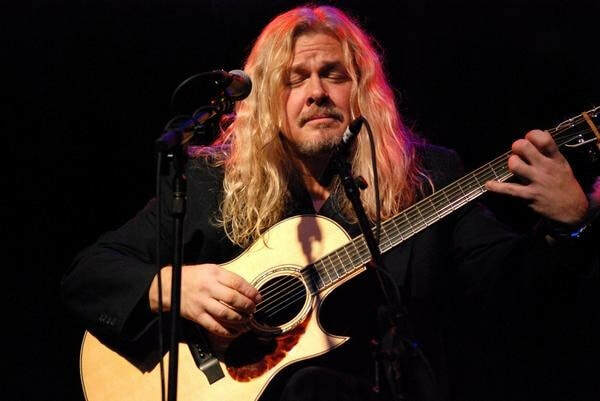 His unique guitar style has been called everything from Folk to New Age to Neo-Classical to Pastoral or as Brian likes to call it “a big stewpot of everything, stirred up, simmered and served to taste.” His music appeals to anyone who likes their music lyrical, thought provoking and performed with virtuosity. Through it all is an undercurrent of spirituality and mysticism that Brian says is very much a part of the creative process. Red McWilliams is a world-renown Celtic singer who continues to please audiences all overwith his craic humor, heart-wrenching ballads and spirited songs of Scotland and Ireland. Red will have you singing and tapping your toes to your favorite traditional and contemporary Celtic songs. His shows are full of humor, elements of surprise and wonder, as he takes you through his musical journey through Scotland and Ireland. Critics have touted him as “America’s Celt”. Red’s award winning arrangements and unique performance stylewill surely capture your heart! 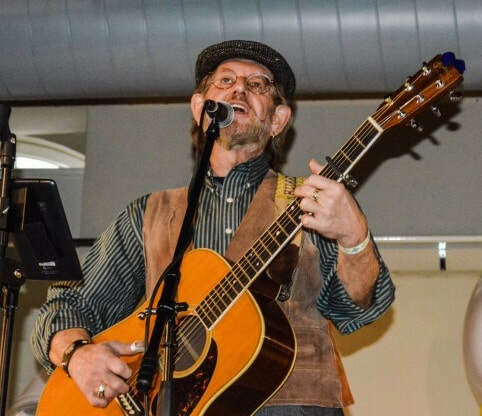 Terry has been performing Celtic ballads in local pubs as well as performances at festivals, Renaissance Fairs and fundraisers all over the U.S. for nearly 4 decades. Terry Griffith is known for his interpretation of Irish and Scottish ballads. His rich baritone voice is suited to ballads from the humorous to the emotional and his repertoire is sure to take audiences through the highs and lows that only Celtic music can span in an evening. "Terry’s strong, rich voice and eloquent guitar playing will help you visualize the scene of the song. Terry's interpretation and delivery of the music is excellent. He writes songs with a lot of 'heart' and his lyrics help you feel his feelings. Terry Griffith is a wonderful ballad singer and his music is a 'MUST' for your Music Library. It is always a pleasure to work with Terry on a variety of projects, he is very knowledgeable in Irish History and he has excellent technical skills and can create ideas and implement them to the fullest." - Diane V. Byrnes, Echoes of Erin Radio Program. RichPatrick presents both traditional and contemporary Irish, Scottish, and popular music to audiences in a unique style that crosses genres from Celtic, to traditional American Folk. 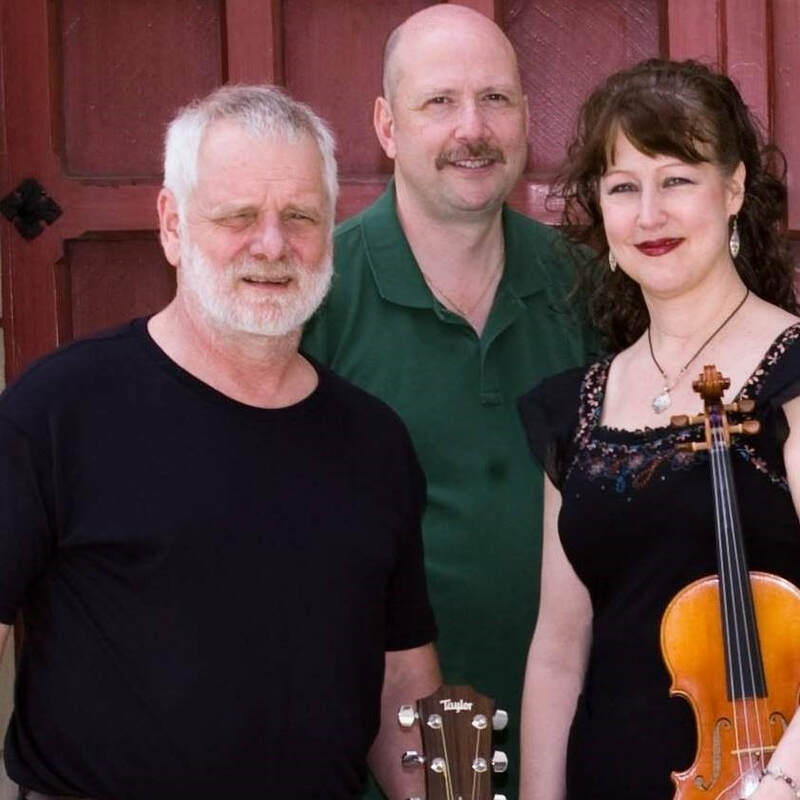 This spirited trio will have you tapping your toes and singing along to some of your favorite Celtic songs. Rich Lange and the late Patrick Campbell originally formed RichPatrick in 2007. Rich Lange is the lead singer of RichPatrick and plays the acoustic guitar. Rich also plays with the King Golden Banshee Band in VA at the Tin Whistle Irish Pub, an establishment that he co-owns. Rich was born in Rhode Island, but his long-term home has been in Pittsburgh where he lives with his family. Rich has been singing Celtic music for a good part of his life, and his list of songs keeps growing! Sue Borowski joined the band in 2009. Sue plays guitar, fiddle, mandolin and Irish whistle. Her expressive style in her vocals and instrumentation bring an emotional element to RichPatrick that make their arrangements truly unique. Sue’s husband, Jim, joined RichPatrick in May of 2017. Jim plays Bodhran and adds his vocals to the mix. You might say that Jim is the heartbeat of the band. His rhythmic style is heard in every song. Between songs he adds merriment by telling jokes and making toasts that will make you laugh, cry, and feel proud that you are a Celt! RichPatrick is a well-rounded, spirited and passionate band that all ages enjoy. So, sit back, relax and let their music take you on journey to the lands of the Celts. Abbots Cross is a traditional and modern Celtic duo made up of Alan Booth and Mike Clancy. The combination of Alan Booth's rich vocals and Mike Clancy's jazz background makes for an exciting musical experience. Their influences range from The Wolfe Tones to John Coltrane. Booth and Clancy's set list includes traditional and modern Celtic music as well as original instrumentals combined with jigs and reels inspired by Brian Finnegan and Michael McGoldrick. In recent years, Abbots Cross have been featured at The 3 Rivers Arts Festival, The West Moreland Arts and Heritage Festival, The Pittsburgh Irish Festival, and the Christmas In the Woods Festival in Ohio. 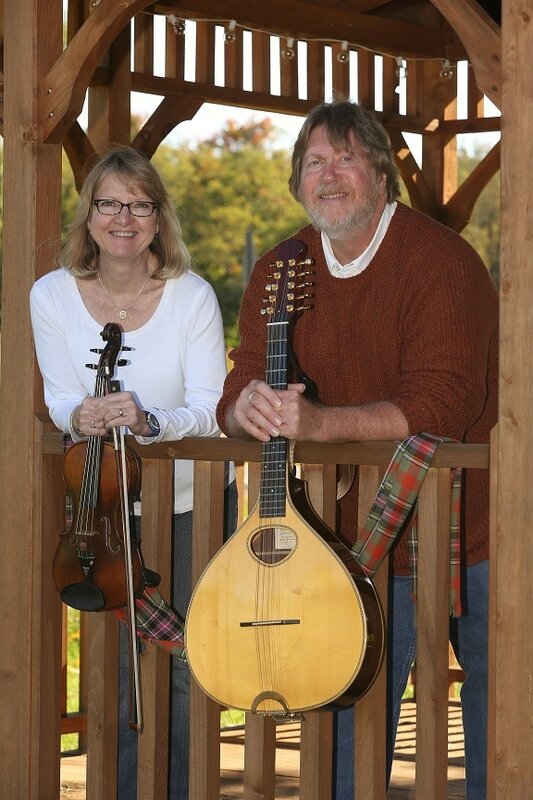 Sue and Jim hail from Western NY and have played music together for many years bringing a love of Celtic music and exciting instrumentation to their audiences. You will hear Sue on fiddle, whistle and vocals and Jim on guitar, bouzouki, cittern, Celtic harp and vocals. Their repertoire includes Scottish, Irish, Originals, Scandinavian, Breton, Contra Dance, Square Dance, and Celtic Christmas. Country Dancing emerged in Scotland at the beginning of the 18th century as a form of social dancing, usually done in groups of four couples somewhat like its cousin, Western Square Dancing. After two centuries of mass popularity, Scottish Country Dancing was a fading memory when in 1923 the Royal Scottish Country Dance Society was founded to restore and preserve the tradition. Hundreds of dances have been edited and republished from old manuscripts. The very dance most frequent at Highland Balls now - The Montgomeries' Rant - was recorded as a favorite at balls in 1749. The Pittsburgh affiliate of the Royal Scottish Country Dance Society will demonstrate this happy blend of music and movement with performances at 10:30am and 2pm at the Raccoon Stage. A final demonstration followed by a free beginners-level workshop will be held after 4pm at Pavilion D2, at the conclusion of the Highland Dance Competitions. The workshop is available to anyone interested, though it is suggested that participating children be at least 8 years old. Comfortable shoes are all that is required! Barra has been our seannachie for 29 years! A seannachie is the Scots Gaelic word for “storyteller,” and Barra the Bard has been telling Scottish tales with us for the last quarter-century. She’s only ever repeated one tale one time, and that was a request! Barra learned many Hebridean and Scottish tales from her great-great grandmother, who emigrated from the Isle of Barra (yes, Barra was named for it) in the 1820s with her a small bardic harp that had been handed down for almost 200 years. She tells stories in the ancient manner as a traditional teller, not reading a book aloud but working from memory, the heart. A professional storyteller for many years, she’s told in churches, classrooms, private and holiday parties, concerts, fraternal groups, museums and other festivals for almost thirty years. She’s an active member of StorySwap, Pittsburgh’s Storytelling Guild, which sponsors Tellabration concerts in November and the Three Rivers Storytelling Festival in August; most recently, doing “harptellings,” there in which she’s combined playing her harp, singing and telling. Barra told at the scholarship awards banquet at Pittsburgh’s St. Andrew’s Society and has been a part of Pittsburgh Tartan Day celebrations here since they began twenty years ago. Barra estimates her repertoire is well over 5,000 folktales, myths and legends from around the world. Besides those genres, she delights in telling folk- and fairytales, ghost stories, historical tales, and a few of her own. Other aspects of her work include research, blogging, writing, and leading workshops on storytelling and public speaking topics and “songtellings,” combining telling and music. In the past she has taught at CMU’s Academy of Life-long Learning (ALL) and was a guest lecturer at Pitt’s School of Library & Information Sciences’ graduate storytelling classes. She’s been the fiction editor and has written a column of Scottish folktales and folklore for the Scottish Harp Society of America’s (SHSA) journal, Kilt & Harp for more than 17 years. Come and hear Barra tell at 2 pm Saturday at the Birthday Party Room!